This means you can install Syncrify on up to 5 machines with different profile names and use the same user id and password to run your test. You can run all 5 backups simultaneously. If this test case does not work for you, click here to get a 30-day trial key for Syncrify Professional. This is a 100 license pack that allows branding, which come with the ISP edition. You will be able to do the following once this trial license is applied. 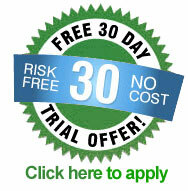 A serial number for the 30-day trial is sent via email. This new serial number will expire in 30 days. You DO NOT have to reinstall Syncrify. The serial number determines the edition of Syncrify you are licensed for.